Google takes PS 261 on an Expedition! Enthusiasm is biggest problem with Google Expeditions! 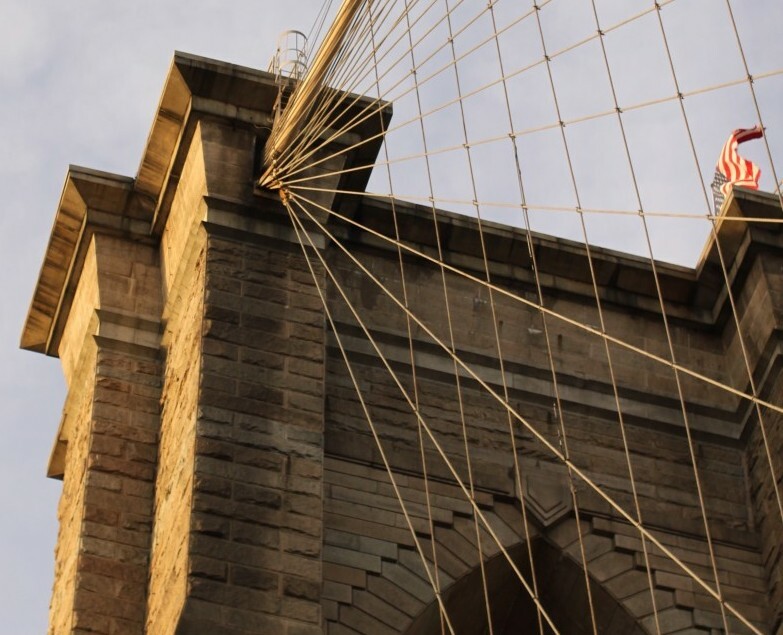 I recently had the pleasure of “chaperoning” a virtual reality class trip at PS 261 through Google Expeditions Pioneer Program and it was a blast! If you have a subscription to the New York Times, you’ve already received Google Cardboard, the virtual reality viewer for use with various phone apps. Google Expeditions is an app designed specifically for the classroom to immerse students in a new experience. 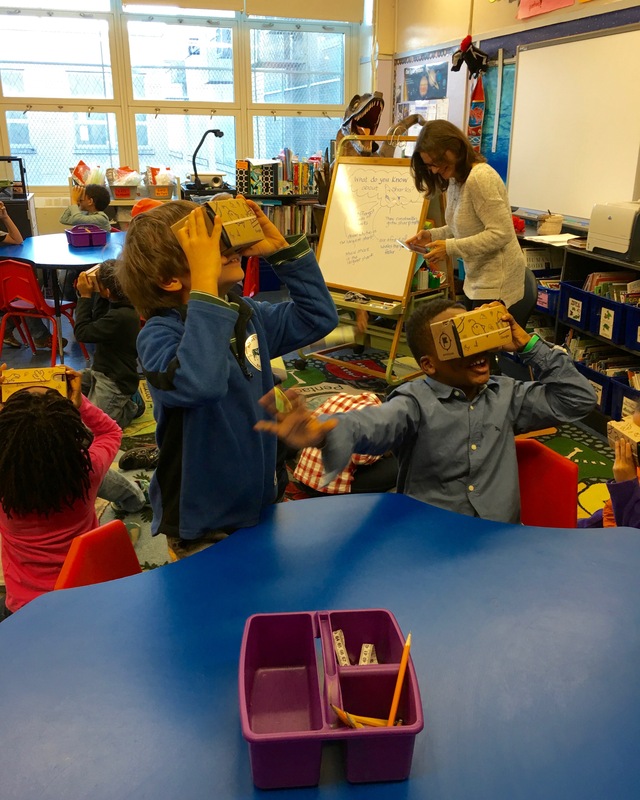 The Pioneer Program that PS 261 participated in, brings everything a class needs for a virtual reality class trip or Expedition: the cardboard viewers, the phones, and the tablets. During an Expedition, the teacher navigates the class by tablet through a location that each student scouts around in behind the viewer. When Google arrived, they gave our science teachers and parent chaperones a quick, 30 minute tutorial. We placed the viewers at the tables as the children entered. They immediately put the viewers on and the fun ensued! Our science teachers guided the class through a thrilling Expedition under the sea to explore sharks. The children went wild for the Great White Shark and were intrigued (or grossed-out) by the brain coral. Some were actually frightened by the virtual sharks! Next the class visited several biomes. They visited the tundra, the rainforest, the desert and several others. At times the room grew raucous with chatter, squeals, and screams of fear (Great White Shark! ), but the teacher could quickly regain control of the classroom by simply stopping the image from her tablet. The children wanted to keep playing, so they cooperated. Even children who had a tendency to act out or refuse to participate came around. One child who entered into the room with highly belligerent behavior, eventually slid into his seat voluntarily and put on the viewer. In spite of his own best efforts to resist the fun, this child stayed seated the rest of the class. My job as chaperone was primarily to keep the children seated. The 3D/360 degree views stimulate movement; children are naturally compelled to stand up and examine the virtual world around them. While the children are free and encouraged to examine the world in the viewer, the lenses that give the 3D effect can cause dizziness and nausea. Staying seated is also key to prevent injury. The children may be freely exploring, looking up, down, and all around, but in reality, they are blindly stumbling around a classroom. Fun to watch, but somewhat dangerous. Yes. Thank you Google. This was indeed a lot of fun.